Which printer is suitable for ciss brother mfc 3820cn? 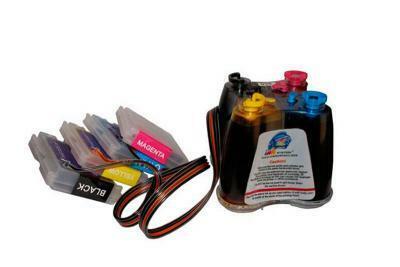 Continuous ink supply system (ciss mfc 3820cn) вЂ“ is a system based on the principle of communicating vessels and is intended to transport the ink as they are wasted to special printer cartridges from the donor containers. Brother вЂ“ is a color printer with ink-jet printing, a scanner and a copier in one elegant body with ergonomic compact size of 390x365x150mm. At home or in small office a variety of features, compact design and economical dimensions are required from MFP вЂ“ and this device perfectly combines them all in it. When is such a system beneficial? Continuous Ink Supply System cis brother mfc 3820cn is more logical to use in the inkjet printing devices that have a built-in print head (there are inkjet printers without a printhead in the printer construction, in such cases there is a print head on the cartridge). This is primarily due to the high endurance of the print head. Continuous ink supply system can be used in any Brother inkjet printer, and this model allows to save more than 50 times for color printing compared to the use of the original cartridges and more than 30 times compared to the use of non-original cartridges. Using such system of ink supply at home, you can achieve significant savings in time and money on inkjet printing of photos as well as any other color products. ciss ink system brother mfc 3820cn for business вЂ“ is a good opportunity to provide additional printing services for people. Professional color copying, instant color printing from digital media, professional photo printing, printing of large posters and other promotional materials вЂ“ all of these services are extremely cost-effective when they are used with the system of constant supply of ink. The unique design of the receptive capsule of CISS for mfc 3820cn, as well as in similar models вЂ“ ciss for brother mfc-620cn and ciss for brother mfc-3340cn, perfectly removes excessive air from the system of communicating vessels and also prevents any flow of ink from one container to another. To compensate the underpressure created in a capsule during the printing process, the ink flows through the tubes from the donor containers to the cartridge instead of used ink. When installing the ciss for brother mfc 3820cn you can use any ink, which are compatible with your printer and its print head, as continuous ink supply system does not have any effects on the functionality of the printer.